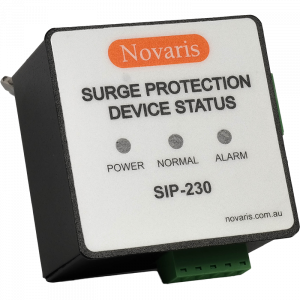 Use the Novaris Surge Protection Tester to monitor and diagnose Novaris products without built in visual indication. Voltage clamping devices such as Metal Oxide Varistors or Silicon Avalanche Diodes are rated by their breakdown voltage. 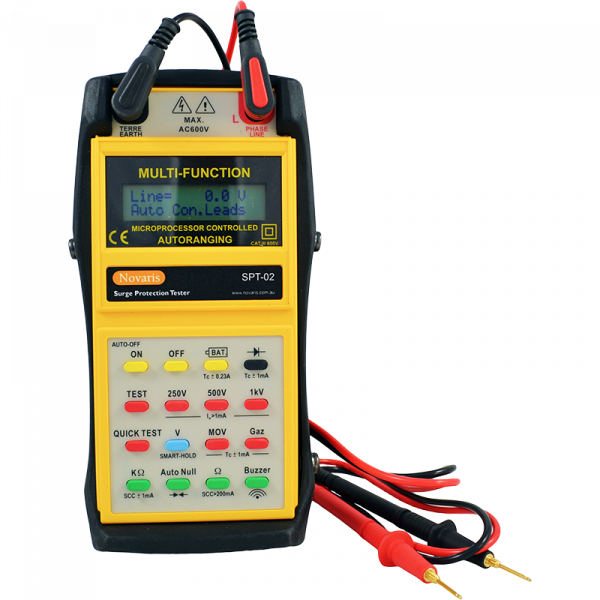 The SPT-02 applies an increasing voltage until 1mA of current flows through the clamping component. Voltage switching devices such as Spark Gaps or Gas Discharge Tubes are rated by their firing voltage. 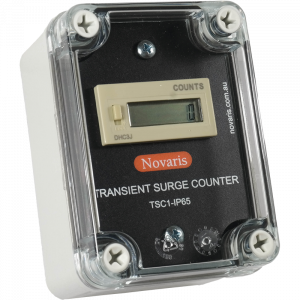 The SPT-02 applies an increasing voltage until it registers the short circuit produced by the arc. These values are presented on the 2 x 16 character display until the next test is performed. 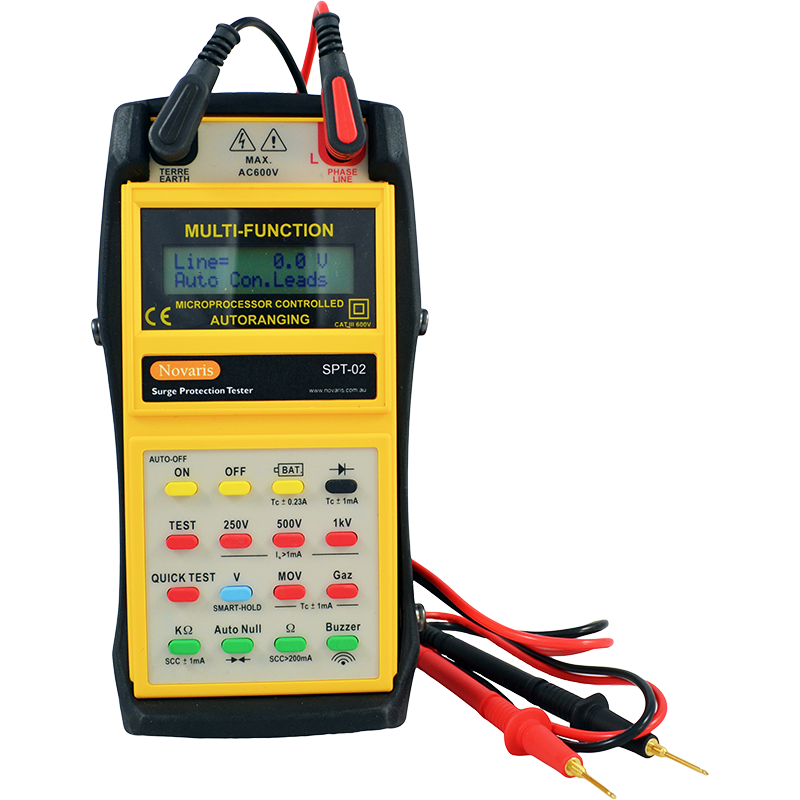 Other test modes supported include insulation resistance to 8GΩ at up to 1000V, voltmeter, diode testing and resistance testing from 0.01Ω to 400kΩ.